In this article there is no advanced information on the veterinarian aspects, exceptions, prejudice or denial. The article is about recognising the disease and giving some insight into the possible treatment of it. Every case needs a specific diagnosis and treatment, depending on the situation and the approach of the veteriarian in charge. Leishmaniosos is a well-known disease, provoked by a parasite. The disease provokes a weakening of the immune system and is transferred by a mosquito named sand fly (Phlebotomus). Leishmaniosisn can hit all canines but rodents like rats, mice, rabbits, hare and animals like horses can also be infected and carry the parasite without developing the disease. Leishmaniosis is found all around the world in certain latitudes. In Europe the disease is widely spread in southern countries. Dogs are vulnerable to Leishmaniosis. The presentation of the clinical symptoms of disease and its progress are influenced by the condition of the immune system of the animal, underlying co-infections and its general condition. Not every dog will be affected. Many dogs live their lives in infected areas without ever being infected, continually showing negative test results. The developemnt of the disease is usually slow and, during its course, periods of improvement and worsening can be seen. In serious cases the animal will die, most often through kidney/liver failure and a compromised immune system. The most common symptoms are anorexia, depression, weight loss, muscular weakening, swollen lymph glands, intestinal problems, skin problems with dry and flaking skin and sometimes bleeding edges of the ears, strong the nailgrowth. In severe cases nose bleeds, liver and kidney failure are symptomatic. A blood sample will tell if an animal is infected or not. Tests can aim at the counting of anti-bodies or be based on a positive/negative result. It is possible to track when the parasite is active and how far the disease has advanced. Treatment can follow a positive result. The most-used products for treatment are Allopurinol, Glucantime and Milteforan. Which medication is used depends on how far the disease has developed, the state of kidney and liver and on the views of the veterinarian. When the treatment has finished, a new blood sample will be taken to establish if the parasite has disappeared or retreated to such an extent that no further results can be seen. There are more ways to diagnose the Leishmaniosis such as collecting bone-marrow, joint-liquid or biopsy. Most common is the blood test, which can show quickly if the parasite is in the body. The success of treatment depends on the stage the parasite is detected in, and how ill the dog is. Treatment given in the early stages of the disease’s development will normally be succesful. The success of treatment depends on how far the disease has advanced. In light and moderate cases (stages 1 and 2) the disease can be treated very succesfully. In a more advanced stage (stages 3 and 4) treatment is still possible but will take more time and heavy medication. In a late stage a dog may be too sick to be treated with success. Leashmaniosos is not a zoonosis – therefore, it can not affect a human being that has been in contact with the animal. Transfer of the parasite is only possible via a host, in this case the sand fly (see: Malaria). 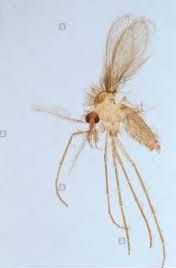 The sand fly does not live in the northern part of Europe, so cross-contamination by sand fly is not possible in northen European countries. The tropical form of Leishmaniosis is a disease that can affect people. In the Mediterrean area, there are hardly any direct transfers of the disease and most likely only in people with a badly compromised immune system. It is important to recognise that dogs that have been affected and treated with success can live for many more years in the same area without being reinfected. This is seen in the majority of treated animals. Although this is still not an official statement, it is known that immunity can exist in dogs that had the disease in the past. Some animals will never be affected by the sand fly, despite the fact that they live their whole lives outside in a Leishmaniosis-affected area. It is possible that the disease shows up again after a time. The reason can be reinfection, infection with other diseases and/or a very low immune system. If the parasite is dormant in hard to trace areas, it might become active. When that happens immediate treatment is needed to stop its development. The facts from a big Dutch rescue shelter that homes around 500 foreign dogs a year from all over Southern Europe, are that in 1% of the dogs that had been affected by Leishmaniosis the disease returned. PAWS-PATAS statistics show that none of the treated animals that were sent abroad over the years ever tested positive again. When a treated dog shows the disease once more, treatment can be repeated with good results if the disease has not yet advanced. When you have a dog that comes from a southern European country that shows signs of being ill, pay a visist to the vet immediately to have the animal investigated and inform the vet of its background. The majority of treated animals will be cured when treatment is given in time, and it will never develop the disease again. Although there are many horror stories about Leishmaniosis, the reality in daily life is different and prospects are favourable.